Two Bars for Sale in Colorado! Rare opportunity to purchase two stores in an up-and-coming franchise sports bar concept. Ability to Grow and protected territory for the right Buyer. Combined sales of over $2,3000,000. Instant success by buying these to sports bars for sale in a franchise brand. Excellent books, SBA lending, proven results. You get the opportunity to ''Be in business for yourself without being in business by yourself.” The franchise founders are proven operators with years of experience in the restaurant and bar business and a track record of success and growth. The brand currently operates 12 locations in the Western United States and is looking to double in size in the next few years and eventually expand coast-to-coast. Buying these two bars for sale from We Sell Restaurants puts you at the forefront of this proven, profitable concept with 10 years of successful history. Designed by the founders to bridge the gap between national chains and the local. ''mom and pop'' establishments, these bars for sale are amazing. Flexible, efficient facility design and an extensive, streamlined menu paired with professional systems and support are part of your package. Fresh, high quality bar fare and a full service are the hallmarks of these sports bars for sale featuring specialty prepared cocktails and beers in a distinctive, casual, sports themed facility. Each location has dozens of high qualities, flat screen TVs and features sports packages for the NFL, NBA, MLB, NHL, NCAA and even NASCAR, Golf, UFC, and Boxing events. In addition, these bars for sale subscribe to the ''always have something going on'' theme and feature trivia, karaoke, holiday parties, industry service nights and more. The locations of these two bars for sale vary in size from 3000-4000 square feet. Cost of build outs are about a third of some similar concepts. Both current locations are in busy retail areas of the Metro Denver suburbs with great visibility, signage and parking. 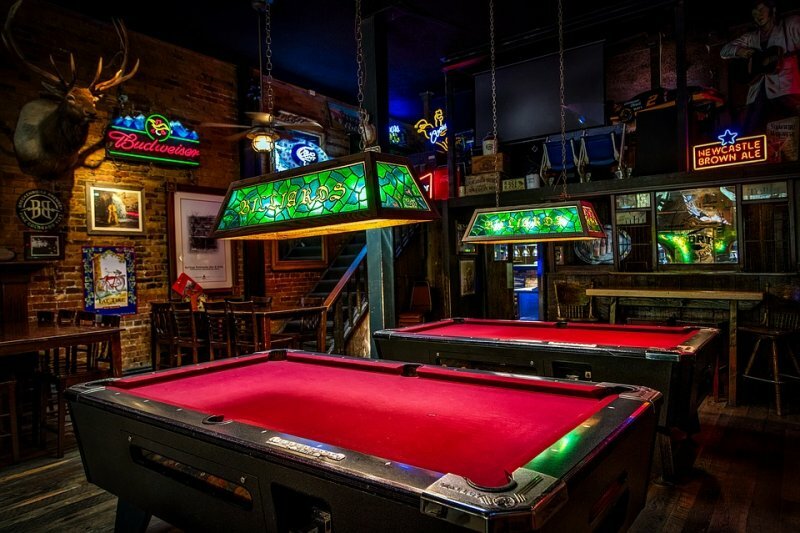 Both bars for sale have game machines, juke boxes and pool tables. Each location features walk-in coolers, fully equipped commercial kitchens, integrated POS systems, full bars, patios and a seating capacity of 120-140. These two bars for sale will have franchise transfer fees of $15,000 each but the initial franchise per unit fee of $35,000 will be waived for the right partner. Both locations are profitable with great books going back over 3 years. The food menu offered at each of these bars for sale is a mix of hearty and ''crave-able'' appetizers and entrees, sandwiches, burgers, pizza, wings and salads all made with fresh, high quality ingredients all of which use proprietary recipes developed by the franchise based on years of experience in restaurant service and operations. Very favorable vendor contracts have already been established resulting in steady supplies and cost controls. The franchise currently owns these two bars for sale but is looking for the right partner to purchase these ''seed'' locations and grow the concept in a custom designated area in Colorado and possibly beyond. The franchise will provide free training most of which can be done locally. These businesses will qualify for SBA or conventional financing. The franchisee is very concerned about confidentiality and there is a net worth ($750,000) and liquidity ($250,000) requirement for all interested parties. You will have to complete a franchise application prior to the release of the name, locations or any other information. $35,000 each location initial transfer fee waived. Pizza Business for Sale in Vail Valley Colorado with great price!